Mountain log home located on a Cul De Sac. Lots of tongue and groove knotty pine on walls and ceilings of both levels. Complete main level living to Include bedroom with and Laundry. Two spacious bathrooms and 2 spacious bedrooms plus a huge loft that could easily be another bedroom. Decks everywhere...off both bedrooms, off both bedrooms and off the kitchen door and slider in the living room. 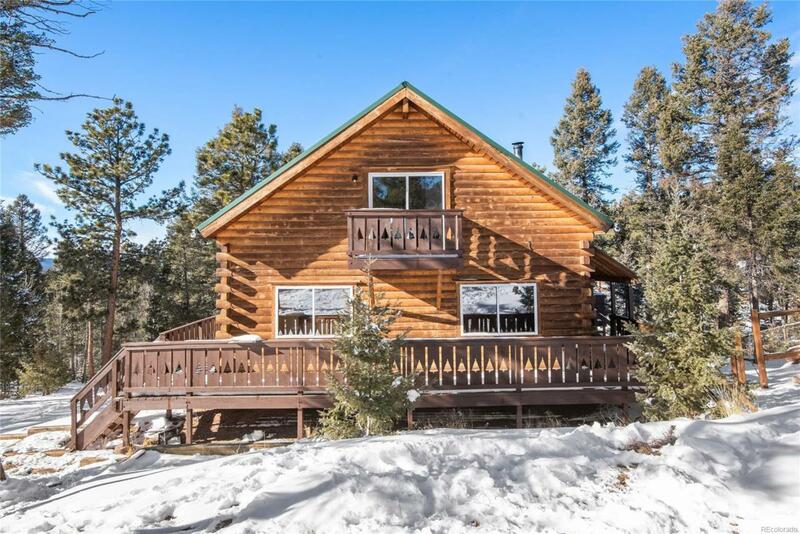 Great light, open concept, wood burning stove..This is a must see home located in Colorado Mountain Estates in Florissant Colorado. add an attached garage, great views, fenced yard, nice community, good well and septic and you get the picture. Schedule this one before you miss it. Offered by Ankeney Real Estate, Inc.